When you need a taxi service to get to a meeting or the airport at a moment’s notice, you rely on punctuality to meet time restrictions. Regardless of your destination, we provide professional service in a timely manner. All of us have meetings to get to, dinner reservations, or plans in the city. Not all of us have reliable transportation to get there safely and ensure we’re on time. At Main Line Taxi & Limousine, we help you get there in style. We service the Delaware County, PA area, from Bryn Mawr to Radnor, Ardmore, Newtown Sq., and West Chester, PA. Arrive in comfort, leisure, and style and request a vehicle from our full fleet. We service all size parties, and our chauffeurs provide town cars, limousines, taxi cabs, and vans, so your entire party is comfortable. Our drivers have years of experience serving customers, and we’re highly trained to deliver the best in customer satisfaction and safety. We offer competitive rates and professional chauffeurs with knowledge of the area to prove the best service for a taxi near Bala Cynwyd, PA.
For reliable taxi cab service in the West Chester and Delaware County, PA area, contact Main Line Taxi & Limousine. 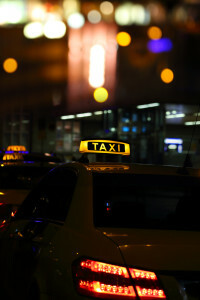 We pick you up at your home, place of business, or anywhere you are, providing safe transportation to your destination. Whether you’re going out of town, heading to a wedding, taking a trip to the city, or going to an appointment, we’re happy to accommodate your needs. We make it a priority to save you as much time as possible when you need a cab or other form of transportation in Newtown Sq., Ardmore, Radnor, or Bryn Mawr, PA.
We ensure prompt and efficient service for on-time arrival and a relaxing, comfortable drive. When you contact us, we’re available around the clock for pick up and drop offs, as well as local and long distance drives for a taxi near Kimberton, PA.
Our goal is to give you peace of mind while you ride in a comfortable, luxurious town car, limo, or taxi cab. When you set the parameters of your trip, we successfully meet them. Contact us today for fare estimates and reliable, safe transportation.